Emily has called Claremont her own for 40 years (seems like 90) and has had the honor of growing up within her family’s business, Moultrie Academy of Music, Voice & Dance. When she and her husband Simon decided to open a brewery, Claremont was the only option because they knew that the City of Trees and PhDs would support Claremont Craft Ale’s dedication to community. She works to continue that ideal as a member of the Executive Board. Kim, along with wife, Denise Solis, are the owners of vomFASS, a European Tasting Room & Market located in the Claremont Village.While owning her own business was always a dream for Kim, it didn’t come as early as she expected. As a matter of fact, after gaining her BS in Accounting at the University of South Florida, Kim joined the Home Shopping Network (HSN). The climb from accounts payable clerk to VP of Budget and Strategic Planning was steep but rewarding. After 23 years at HSN, performing various functions from finance to operations, Kim finally decided in 2013 to leave HSN and pursue her dream! While working in corporate American has is privileges and benefits, there is no greater feeling than to be a small business owner! Susan grew up in Claremont, and attended local schools, graduating from Claremont High. After a brief period of living elsewhere, she moved back to Claremont, purchasing her childhood home. She has a Bachelor's Degree in Accounting, and a Masters Degree in Business Management. Susan is co-owner (along with her sister) of The Bath Workshop, located in the cities of Claremont and Big Bear Lake. Both stores offer a variety of hand-made bath, body, home, and pet products, and have been in operation for over 10 years. Susan and her sister utilize a home-studio where they make many of the items the stores sell, including soap, candles, and incense. A resident of Claremont for 19 years, Bruno and Nathalie acquired Saca’s Mediterranean Cuisine 4 years ago with the ambition to develop and grow the Saca’s brand. In 2017, they opened a second location in Rancho Cucamonga.Prior to working in the food industry, Bruno worked for 25 years for a large Corporation in Consumer Goods, where he headed the International Division. In that role, he built and run a global network of professional distributors, set up and managed sales, marketing and logistics centers on all 5 continents. As Head of the Corporate Marketing Division, Bruno was also responsible for protecting and growing the brand globally through advertising, social media and Public Relations. 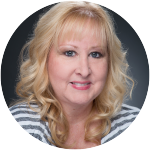 Cindy Rainey is a Real Estate Professional with Reliance Real Estate Services in Rancho Cucamonga. As a graduate of University of La Verne, she received a Masters in Leadership and Management. Cindy began a career in the mortgage industry in 1996. That was a 17 year lesson and experience in mortgage finance. 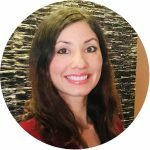 With the skills and understanding of mortgage lending, first time home buyer budgeting, and client education, she began a career in Real Estate. Cindy moved to Claremont 14 years ago and began a journey into this great community. Cindy found Claremont Sunrise Rotary and became a member in 2005. This organization quickly became a passion and a part of her life. Claremont Sunrise Rotary has accomplished goals, set standards, and helped people both locally and internationally. Cindy is also on the Board of Directors for the Claremont Chamber of Commerce. It is a great honor to be a part of this community and participate in progress and solutions. James has been serving as superintendent of the Claremont Unified School District since July 1, 2012. Dr. Elsasser has worked in public education for 25 years. Previously, he served as assistant superintendent of human resources for Anaheim City School District, and director of classified personnel and special projects for Los Alamitos Unified School District. He was also principal of Oak Middle School in Los Alamitos Unified School District, and assistant principal of East Middle School in Downey Unified School District. Among his accomplishments, Dr. Elsasser was named the Association of California School Administrators Region XV 2017 Superintendent of the Year. During his tenure as principal, his school was recognized as a California Distinguished School (2001 and 2005) and a National Blue Ribbon School (2002). Dr. Elsasser is an active member of numerous professional organizations, including the Education Research Development Institute, National Center for Education Research and technology, the Dean’s Superintendents’ Advisory Group for the Rossier School of Education at the University of Southern California, the Association of California School Administrators and the Rotary Club of Claremont. Joey became a member of the Claremont Chamber in 2004 representing the Euro Cafe in Claremont. Through out his 18 years as a member of the Claremont Chamber Joey has been active in serval committees and eventually joined the Board of Director of the Chamber in 2013. Joey was also one of the founding members of Claremont Chamber Young Professionals in 2009. In 2014, Joey opened Nuno's Bistro & Bar which also became a Claremont Chamber member. John Howland is a member of Buxbaum and Chakmak, a law corporation, in Claremont, focusing in the areas of estate planning (including all types of wills and trusts), probate, conservatorships, business and real estate law. After receiving his BA from Dartmouth College and his LL.B degree from the University of Pennsylvania, he was admitted to the State Bar of New York in 1967 where he worked as Special Counsel to the NYC Department of Consumer Affairs. In 1976 he moved to the Beneficial Management Corporation, a national consumer finance company, as Vice-President in the legal department, where he specialized in consumer protection laws, corporate protection and employment law. In 1989 he joined Buxbaum and Chakmak. John served on the Claremont Chamber of Commerce Board for over 18 years and was President in 2002-03. He is past President of the Pomona Valley Estate Planning Council, and was on the Pilgrim Place Board for six years. He served on the task force advising the City of Claremont on Sustainable Development. He resides in Claremont with his wife, Naomi, an author and illustrator of children’s books. Jonathan Brunasso is a Solar Consultant with Sunrun as well as a Realtor with EXP Realty. Jonathan grew up in Claremont attending local schools since 1985 and as a graduate of Cal Poly Pomona, he received a Bachelors Degree in 2007 as well as a Masters in Business Administration in 2011. Jonathan began a career in sales and management in 2003, has been involved buying/selling real estate since 2012 and has been involved in the solar energy industry since 2015. Jonathan loves to call Claremont his home being an active member of the community and always supporting the great events and activities that Claremont has to offer. 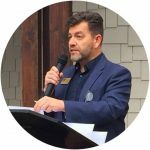 Jonathan has been involved with the Claremont Chamber of Commerce for many years taking an active role as the Chair of the Emerging Leaders (formerly young professionals) to ensure its continued success within the chamber. Katherine was raised in Southern California. She worked in design and retail management, but has spent the last 33 years in Real Estate. Since July 2003 she has been the Director of Real Estate and Housing for Claremont University Consortium, now The Claremont Colleges Services, where she works with TCCS and six of the seven colleges in her capacity as Real Estate Broker and Property Manager. Katherine uses her experience in all real estate-related areas to assist students, staff and faculty in their housing needs, and, when requested, in all land and land-related business of the Claremont Colleges. She is on the Board of Directors of Claremont Sunrise Rotary and The Claremont Chamber. She is a Notary Public, and a member of the Citrus Valley Association of Realtors, C.A.R., AUREO, AAGIE and ACL. Katherine has a Master’s degree in Social Work from the University of La Verne, with undergraduate degrees in Psychology and Design from the University of Sioux Falls. Michael is the Vice President of Sales at Southland Data Processing. He attended Saint Mary’s College of California in where he graduated with a BS in Business Administration and played goalkeeper for the university’s soccer team. Consulting businesses since 1992, Michael helps companies look for ways to improve efficiencies, reduce costs, and stay compliant. In addition to his love of running (10 marathons, 10 half marathons, and an ultra race! ), he also helps run Southland Data Processing’s sales and marketing departments, with proven year-over-year growth since Michael joined the team in 2008. SDP helps businesses hire, manage, and pay employees with their customized solutions and helpful support team. Currently, Michael lives in Claremont with his wife and three kids, and is an active volunteer with The Claremont Chamber of Commerce, The Haynes Family of Programs, Steven’s Hope, and Speech and Language Development Center. Nona serves as an agent for State Farm Insurance. In her role she provides insurance and financial services to families and small businesses. In addition to providing insurance and financial services, Nona Tirre focuses on local community participation and events that support the needs of her clients. Ms. Tirre is an incoming Board Member for the Rotary of Claremont Club and the Claremont Chamber. She has been recognized as Woman of the Year (by Assemblywoman Norma Torres 2012), Business of the Year (by Senator McLeod 2011), and Ambassador of the Year (Pomona Chamber 2011 & Claremont Chamber 2017). Nona Tirre has a Bachelors of Art in Psychology from the University of California, Los Angeles. Ms. Tirre is also married to Jason Miranda, and a proud mother of three sons, JJ (14) and Mario (10), and Luke (4). Prior to starting her small business in 2009, Nona was a Business Area Manager with Wells Fargo; employed at Wells Fargo for 10 years. After having a discussion with her State Farm agent Nona was inspired to become a State Farm agent, own her own business, and she hasn’t looked back since. Sam began his career in printing in 1978. After many years of running operations for commercial print companies, he started Excel Printing and Graphics in 2003. After a few years an opportunity to merge with Claremont Print opened up and the rest is history. Him and his team have helped many business’s and organizations solve their print related problems and reach their goals. Susan Emerson, Wheeler Steffen Sotheby’s International Realty is a long time Realtor and Seniors Real Estate Specialist. 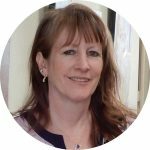 Susan provides her clients not only compassion and experience but also knowledge of resources and referrals that are available in the evergrowing senior industry. Susan’s expertise can help seniors and their families navigate the maze of financial, legal and emotional issues that accompany the sale of a long- time home. Susan lives in Claremont with her family. Corey is serving his fourth term as a member of the Claremont City Council (March 2017 - November 2020). He previously served two one-year terms as Mayor of Claremont from March 2015 - March 2016 & March 2009 - March 2010. He went on to Loyola Marymount University in Los Angeles, with a degree in Business Administration, Corey has been an active leader in the community. He served on the County of Los Angeles Local Suppression of Drug Abuse in Schools Advisory Committee and is Past-Chair of the City of Claremont Library Task Force, Past-President of the Friends of the Claremont Public Library, Past-Treasurer and Past-President of the Claremont Educational Foundation, and a founding member and Past-President of Active Claremont. Corey has over ten years of experience working for the California State Legislature and has had the opportunity to serve constituents in more than thirty communities in the region around Claremont including parts of Los Angeles, San Bernardino, Riverside, and Orange Counties. He has worked for former Assemblyman Bob Margett (59th District), former Assemblyman Bob Pacheco (60th District), former Assemblyman Todd Spitzer (71st District), and former State Senator Bob Margett (29th District). Mayor Calaycay serves as the City Council representative to the Foothill Freeway Corridor Design Joint Powers Authority, Clean Power Alliance Authority Board, Foothill Transit Governing Board, Los Angeles County Sanitation District #21, League of California Cities City Selection Committee, and the Pomona Valley Transit Authority. He is Chairman of the Foothill Transit Executive Board, President of the San Gabriel Valley Mosquito and Vector Control District Board of Trustees, and Chairman of the County of Los Angeles Public Library Commission. The Board of Directors is the policy-forming branch of the Chamber. Board members approve the budget and direct the Chamber’s general activities. Ultimately the Board must assume the responsibility for seeing that policies are carried out. There is tremendous importance placed on the development of a strong team effort among all those involved in the Chamber leadership.